The Tankerhoosen Watershed was formed by continental drift, sediment from ancient seas and the glaciers that flowed south and then melted leaving kettles and moraines. More detail to come and we'll explore the geology of the Valley. 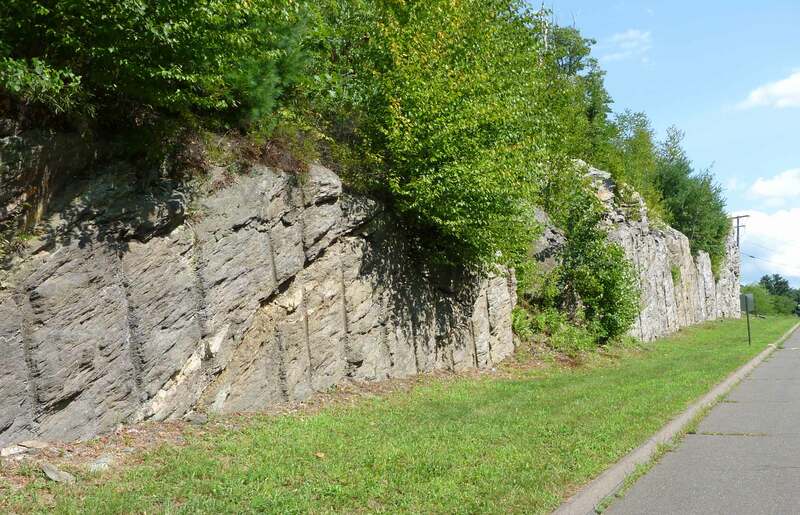 The State of Connecticut is comprised of three distinct geologic units divided from north to south across the state. These three units are known as the Western Uplands, the Central Valley, and the Eastern Uplands. The Western and Eastern Uplands are comprised of metamorphic rocks – rocks subjected to intense heat and pressure of the Earth’s interior – while the Central Valley is a younger unit comprised of sedimentary rocks. The Central Valley began forming about 225 million years ago when the super-continent Pangaea began to break apart. A large rift formed a long, narrow valley through the middle of the state, eventually filling with sediments from the eroding hills to the east and west (presently known as the Eastern and Western Uplands). The sediments were compacted into soft, easily eroded, red and brown sandstones through which the Connecticut Rivers flows. The Tankerhoosen River watershed is almost entirely within the Eastern Uplands. The westernmost portion of the watershed is located within the Central Valley. The boundary between the Central Valley and the Eastern Uplands is located near the Vernon-Manchester town line and known as the Bolton Range. The Bolton Range was formed as a result of the different rates of erosion of the less resistant sediments of the Central Valley creating an abrupt rise into the resistant rocks of the Eastern Uplands. Drastic changes in the surface geology have occurred since the formation of these geologic regions. Above the sandstone of the Central Valley and the metamorphic bedrock of the Eastern Uplands lie extensive glacial deposits, or “glacial till,” left as the large glaciers receded. Melting glacier ice formed rivers which sorted glacial till into layers of sand and gravel, or “stratified drift.” The Tankerhoosen River flows through hills of glacial till in the steep Eastern Uplands and then drops into the stratified drift of the Central Valley. Source: "Baseline Watershed Assessment: Tankerhoosen River Watershed"
by Fuss & O'Neill, May, 2008. This is an assessment of existing conditions in the wartershed, an evaluation of pollutant sources and a prioritization of action items to protect and improve the health of the watershed. It includes geological and historical background as well as wildlife and geographic description. 94 page pdf document. The DEEP has posted the geology of many of its state parks including Bolton Notch. The linked page discusses the trails at the Notch and detail on the rocks, minerals and geologic features you'll find. This is the only state park in the Tankerhoosen Valley, but many details will be similar to those found throughout the Railroad Brook and Box Mountain area. » The Geology of Bolton Notch State Park.